Diabetes type 2 is the most common form of diabetes in the UK, and symptoms can include feeling very thirsty, urinating more frequently than usual and blurred vision, before diagnosis. Medication may be required as the condition progresses, but making simple lifestyle changes to your diet and exercise routine is the recommended way to help control your blood glucose levels. Cutting certain food and drinks out your diet and eating more of others can be beneficial, and one drink that has been proven to help is tea. 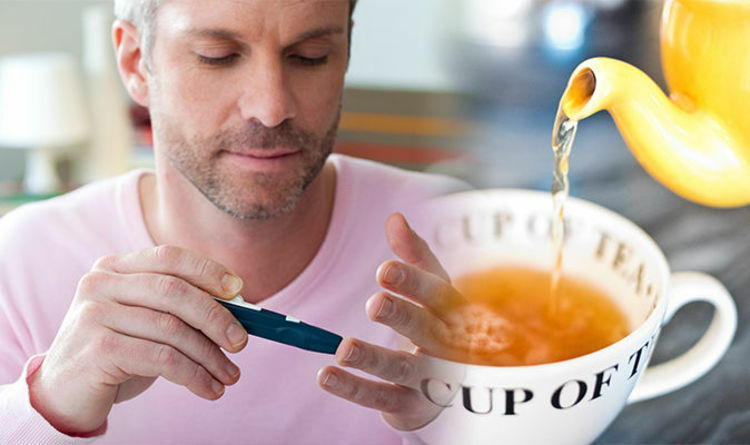 Scientists have claimed drinking three or four cups of tea a day can reduce the chances of developing diabetes type 2 by up to 25 per cent. Research published in the Archives of Internal Medicine also found consuming three to four cups of decaffeinated coffee a day was associated with an approximately 33 per cent lower risk. Those who drank three to four cups of tea per day were found to have roughly 20 per cent lower risk of diabetes than those who did not drink any tea. But Lars Ryden, spokesman for the European Society of Cardiology, told Diabetes Self Management: “Coffee helps, but other things are even more important. “Those who are overweight should reduce their body weight by five to 10 per cent - not too much - and include physical activity such as a brisk walk for 30 minutes day. Adding spinach to your diet could also help control blood sugar levels. Because leafy greens are high in fibre and nutrients like magnesium and vitamin A, they can help to lower blood sugar. Alongside spinach, lettuce, collards, turnip greens, kale and Swiss chard can have the same affect.